Mercedes Benz has officially debuted the next E-Class at the Detroit Auto Show as promised and started pushing the car into the S-Class segment with plenty of luxurious add-ons. The brand new car is quite different from what it used to be and obviously it is ready to take on the future with support for all innovative technologies. 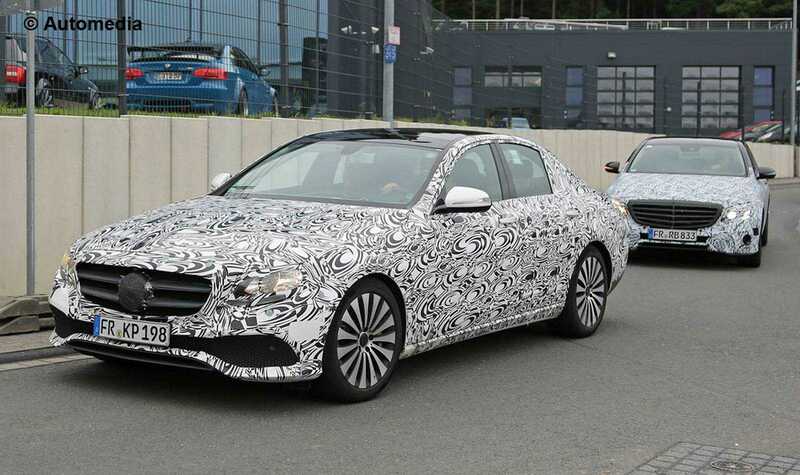 The car has been designed to accommodate autonomous driving when the tech becomes available to mainstream vehicles and it also has a design similar to the S-Class variants from Mercedes. According to Mercedes Benz, their new launch will be a benchmark for all the future vehicles in the series as well as those created by other manufacturers, ideally their competitors. The size of the car has been considerably boosted to make it 65mm longer with a wheelbase measured at 2939mm. The weight has been reduced made possible by lightweight carbon fiber components. A 2.1-liter turbo diesel four engine powers the basic variant and a nine-speed automatic transmission system will be used in all the models. Drive Pilot is the new technology which will allow the drivers to theoretically drive on long highways without having to control the steering all the time. All they have to do is keep a hand on it or touch it occasionally so that the autonomous technology can continue to operate the car towards the desired destination. Mercedes confirmed that drivers will be able to let the car operate on its own at a top speed of 210 kilometers per hour which is simply amazing. There may be drivers, who are not comfortable in allowing the car move at such high speeds, but eventually the technology should catch up as smartphones and computers did. A wide range of technical stuff is put together including GPS, satellite navigation system in the E-Class, radar cruise control, built-in cameras and maps to make automatic driving possible. Apart from the Drive Pilot, the next gen Mercedes Benz E-Class features amazing interiors, which denote luxury at every corner. There are two different large touch screens for the infotainment system which has 720p resolution for HD support. Users can easily navigate through the stuff they like and it also allows the driver to use the system without having to take his or her eyes off the road. The entry level model may lack some of the features, but when you go with a Mercedes, there shouldn’t be budgeting issues to opt for the luxury variant.